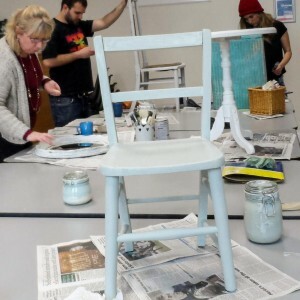 REdesign Network is a growing community of people who want to learn about furniture up-cycling, and share information and skills. The social enterprise promotes the environmental and financial benefits of reusing and refurbishing household items which are unwanted or damaged. In 2014 we completed a year long project funded by the National Lottery, to run Community Up-cycling Groups held in four venues throughout East Lothian. The groups were attended by people of all ages and backgrounds, who were inspired to learn new skills and give furniture upcycling a go! We also held a Swapshop event during ‘Pass It On’ week promoted by Zero Waste Scotland, where people could bring along an unwanted item and swap for something else. REdesign is now located in the MADE Arts Hub in Haddington where we have studio space, run workshops and hold regular community groups. 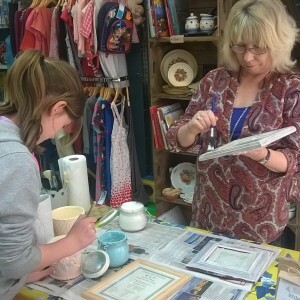 We participate in regular pop-up shops and craft events, and are always looking for ways to spread the word about furniture up-cycling by demonstrating to local groups and charities. Get in touch if you would like us to come along to your community organisation for a demonstration or group workshop.